Bob Dechert, parliamentary secretary for Foreign Affairs, has confirmed he sent flirtatious emails to the chief Toronto correspondent for Xinhua, the official Chinese government news agency. 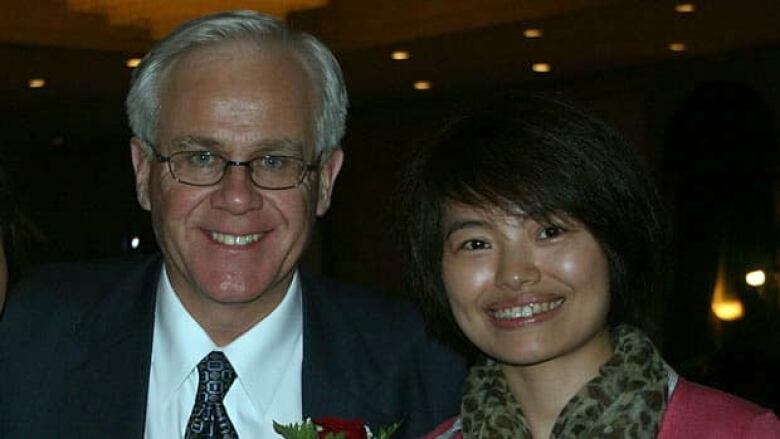 Toronto-area MP Bob Dechert is pictured with Shi Rong, right, in an undated photo. Dechert, the parliamentary secretary to the minister of Foreign Affairs, acknowledges he sent flirtatious emails to Shi, a Toronto-based journalist with China's state-run news agency. Bob Dechert, parliamentary secretary for Foreign Affairs, has confirmed he sent flirtatious emails to the chief Toronto correspondent for Xinhua, the official Chinese government news agency that is directly responsible to the governing Communist party. In a statement released Friday night, Dechert said he met Shi Rong while doing interviews for Chinese-language media and she became a friend. He said the emails were nothing more than a flirtation: "These emails are flirtatious, but the friendship remained innocent and simply that – a friendship. I apologize for any harm caused to anyone by this situation." A spokesman for Prime Minister Stephen Harper said Dechert "denied any inappropriate behaviour. We have no information to suggest otherwise." In his statement, Dechert said Shi's emails "were hacked as part of an ongoing domestic dispute." Shi elaborated for the Globe and Mail, telling the paper it was her husband who hacked into her account. The emails were released Thursday night to a large number of people, including journalists, business people and political contacts. Dechert's personal email address was on the list of recipients. In an email sent about midnight on April 17, 2010, Dechert thanked Shi for sending a photo of herself from seven years earlier. "You are so beautiful. I really like the picture of you by the water with your cheeks puffed. That look is so cute, I love it when you do that. Now, I miss you even more." In another 2010 email, Dechert tells Shi to watch CPAC because he will smile for her as he stands to vote in the House of Commons that night. She replies that she will watch for him. An email from Shi's account to her contacts early Friday morning apologized for the hack. "Some one has used this mail box sent [sic] information that is absolutely untrue. Please ignore any mail that send [sic] from this email box in the future," the email reads. 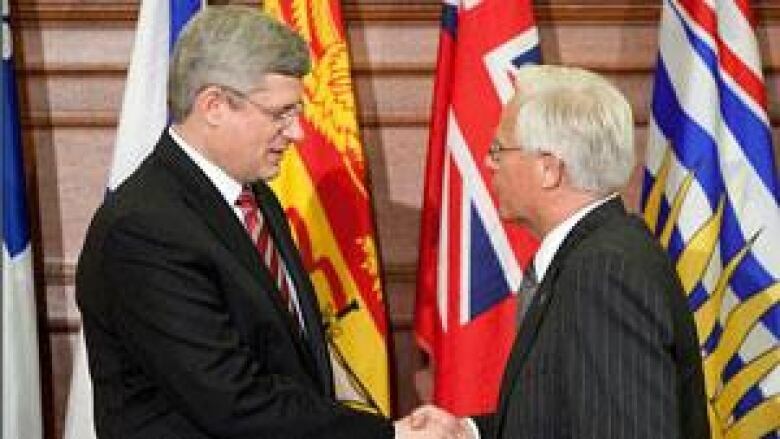 Conservative MP Bob Dechert, who acknowledges he sent flirtatious emails to a journalist with the official Chinese government news agency, shakes hands with Prime Minister Stephen Harper. Dechert, a Toronto-area MP, was elected to represent Mississauga-Erindale in 2008 and was named to his role with Foreign Affairs in May 2011. He also serves on the Foreign Affairs Commons committee. In April 2010, at the time the emails were sent, Dechert had just been made parliamentary secretary to the minister of justice. Last June, CSIS director Richard Fadden told CBC's Peter Mansbridge that there were provincial and municipal political figures who have "developed quite an attachment to foreign countries." Dechert, a lawyer and former president of the Empire Club of Canada, is married to Ruth Clark, according to his personal website. Dechert also serves on the Canada China Legislative Association, a parliamentary forum established in 1998 that "promotes the exchange of information between Canadian parliamentarians and representatives of the National People's Congress of the People's Republic of China in order to encourage better understanding and closer ties between the two countries."